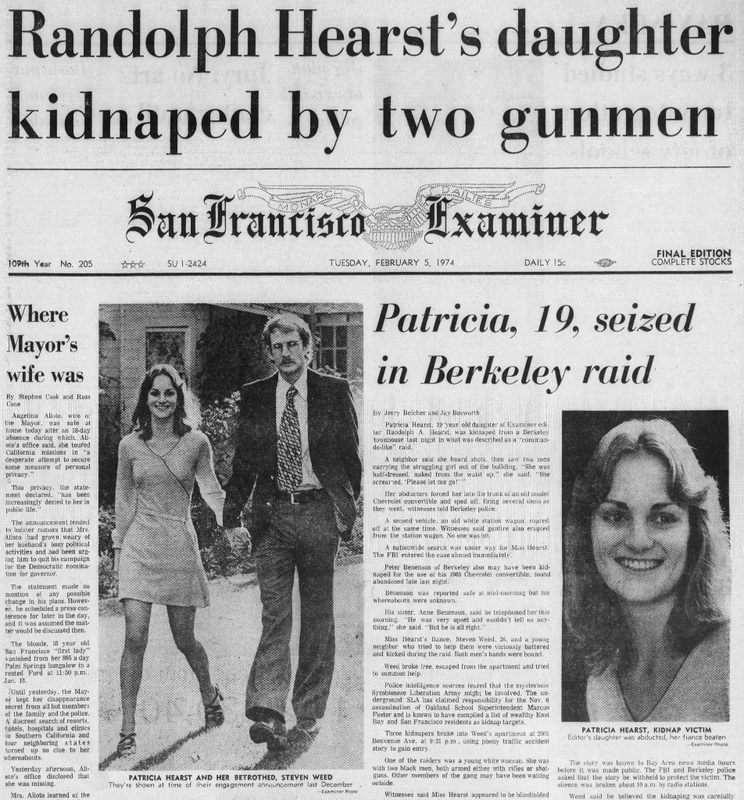 A Berkeley kidnapping carried out by a revolutionary group 45 years ago this week made the name of newspaper heiress Patty Hearst known nationally for the first time and would keep her in the public eye as the case went on for more than a year and a half. Around 9 p.m. on Feb. 4, 1974, armed intruders burst into the Berkeley apartment at 2603 Benvenue St. that Patricia Campbell Hearst, a 19-year-old UC Berkeley student, shared with her boyfriend, Steven Weed. After beating up Weed, the group of men and women drove off with Hearst in the trunk of their stolen getaway car. “Thus began one of the strangest cases in FBI history,” the Federal Bureau of Investigation says on the history portion of its website. The Symbionese Liberation Army, the radical group behind the abduction, had actually made its presence known late the year before with the assassination of Oakland schools Superintendent Marcus Foster on Nov. 6, 1973. But the kidnapping catapulted the militant group of men and women led by former prisoner Donald David DeFreeze, known as General Field Marshal Cinque, to the top of the news cycle, where it stayed for months through the ensuing twists and turns, including a botched food distribution effort made by the Hearst family to meet one of the captors’ demands. The biggest bombshell came in an April 3, 1974, taped communique in which Hearst announced she had joined the SLA and adopted the revolutionary name Tania. She carried an assault weapon as part of a bank robbery less than two weeks later. 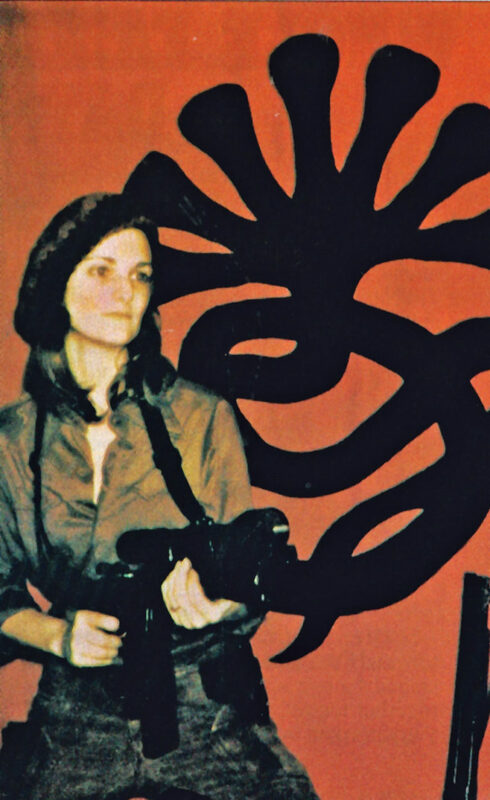 Patty Hearst, aka Tania, poses in front of the SLA flag, featuring a seven-headed cobra. “The FBI had launched one of the most massive, agent-intensive searches in its history to find Hearst and stop the SLA. Working with many partners, we ran down thousands of leads,” but the heiress remained at-large even after a core group of six SLA members were tracked to a house in Los Angeles. All six died when a fire broke out during a long gunfight with police that was telecast live on television. The search for Patty Hearst continued until Sept. 18, 1975, when she and two other SLA members were captured without incident in San Francisco. 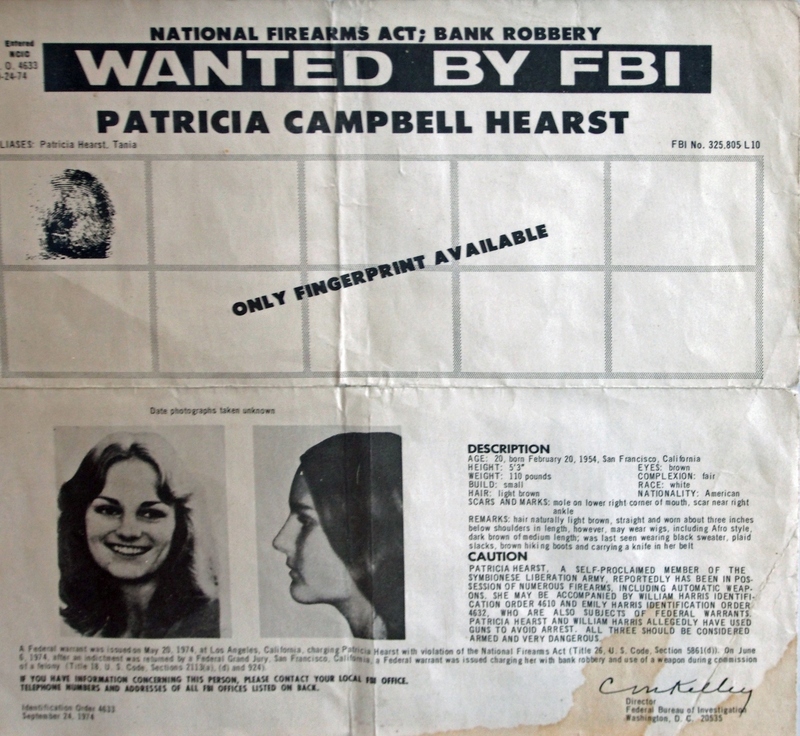 Revised wanted poster showing Patty Hearst in her new SLA identity as Tania. The case continued to make headlines as she was brought on trial for crimes that included bank robbery. Despite making the defense that she had been brainwashed by her abductors, Hearst was sentenced to seven years in prison. She was released after serving two years when her sentence was commuted by President Jimmy Carter.